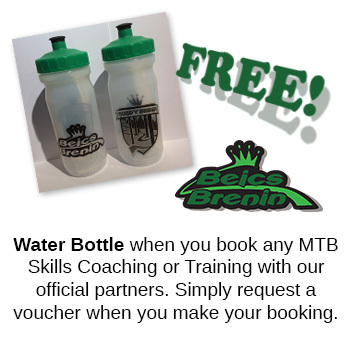 In order to provide the best possible coaching and skills training opportunities at Coed y Brenin, Beics Brenin work with an authorised training partner Pedal MTB who provide casual and tailored coaching packages for riders of all abilities, extending beyond riding skills into areas such as navigation and trailside maintenance. For full information on their complete offering please visit the Pedal MTB websites. Al Seaton and Ed Roberts are Pedal MTB, the two share a breadth and depth of MTB knowledge and experience that is difficult to match. 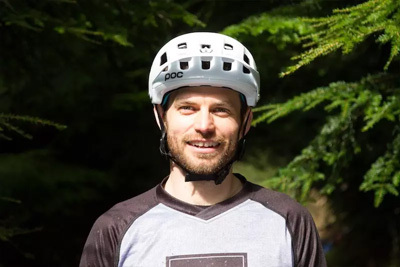 Al has a background in elite sport and outdoor education and has been delivering MTB training world wide for over 10 years, and trained the first ever female Nepali guides. Ed has held a passion for two wheels from an early age and has spent the last few racing the EWS. 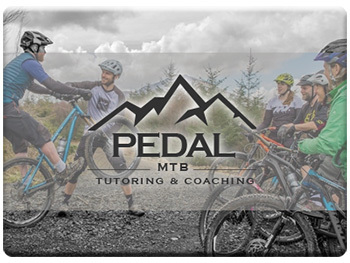 Pedal MTB offer planned and tailored coaching and training from beginner to expert level. Who can benefit from skills training? Basically, everyone. 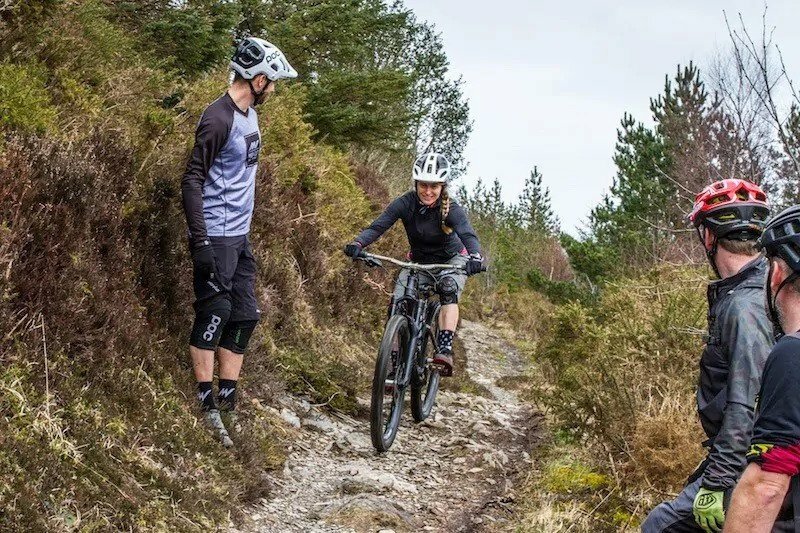 Our skills courses cover a range of trail fundamentals and are designed to help everyone improve their bike handling, gain confidence and tackle new terrain. 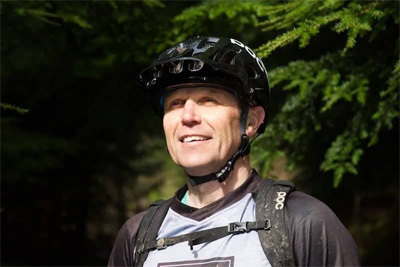 Skills training for Beginners – Learn mountain bike fundamental and take your first trail excursion under the watchful eye of one of our qualified skills instructors. We will take you through equipment set up and riding techniques in a safe and controlled environment, giving you the techniques to progress with confidence. Skills training for intermediates – So you are already riding well, tackling trails of different grades but want to take your riding on, corner faster, flow better and maybe tackle some more challenging terrain features like jumps and drops with more confidence. Our skills courses will help you progress by giving you new tools and techniques to enhance your ride. Increase speed, control and confidence and tackle new terrain. Skills training for advanced riders – Q. What group of riders already use skills coaching the most? A. The world’s top riders, that’s who. If the very best mountain bikers can benefit, then why not you. Skills coaching for advanced level riders provides an opportunity to analyse physical technique and equipment set up to maximise a riders potential. We use techniques like section analysis and video coaching to provide riders with valuable tools, feedback and techniques in order to optimise riding ability and benchmark personal development. The objective, to ride all trails faster and smoother, with more confidence and less effort. Coed y Brenin is the original UK Trail Centre. The centre first opened to mountain bikers over 25 years ago with it’s first way marked trail of the type we see today over 20 years ago. The centre successfully pioneered the model that all modern trail centres have followed offering the simplicity and sustainability, allowing riders to enjoy the wealth of fine trail riding that the forest offers with the minimum of fuss. 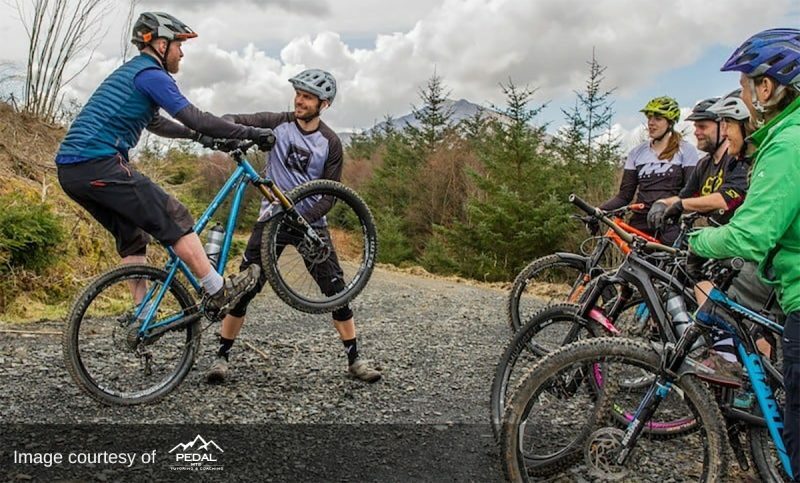 Coed y Brenin provides the perfect location to train and progress your MTB skills. The centre boasts a large warm cafe that serves everything from hot drinks to full meals, there are showers and changing and of course the best bike shop in North Wales with an expansive hire fleet of Trek bikes all well serviced and maintained and kept in tip-top condition. The forest offers trails for all ability levels, all graded to make it easy to find a good match for personal skill level and fitness. You can find more info on the Forest Park’s trails including trail maps as .pdf files to download on our trails page. The centre’s trails offer true all-weather riding and the Forest Provides good tree cover to shelter from the worst the Welsh weather can throw at us. 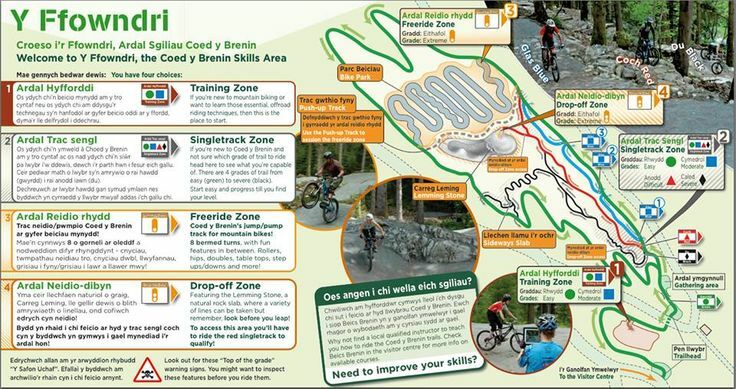 Coed y Brenin’s dedicated MTB skills area, The Ffowndri provides us with the perfect location for MTB Skills Training. It’s ideal for beginners, just getting into the sport, right through to experienced, skilled riders. Divided into 4 zones, you can start off in the Training Zone where there are features that allow the training of basic core skills. From here you can gain confidence and progress your riding to move up through progressively more technically demanding terrain with graded trail features that mimic those you will find on the forest park’s many way-marked trails. You’ll find short trails of all grades in The Ffowndri that allow the development of new skills in a controlled trail environment with ample space and without distraction. There is also a Freeride Zone and Drop-Off Zone that allow us scope to train more advanced MTB skills like jumps and drops. 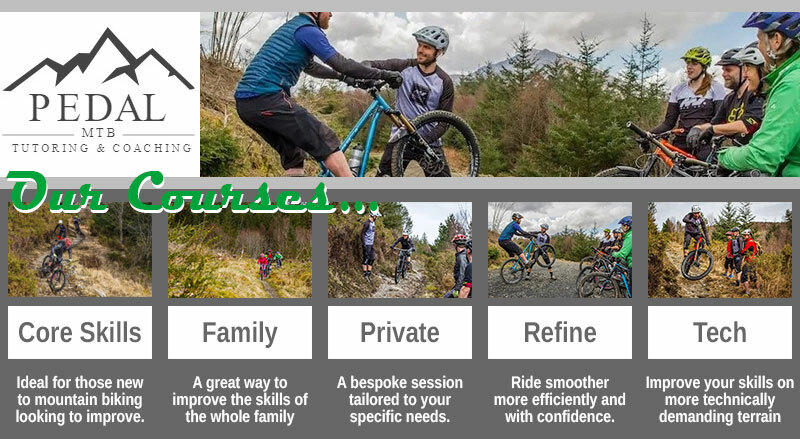 Coed y Brenin Forest Park’s vast network of all weather/all ability trails and dedicated MTB skills area make the perfect location for riders to advance their skill. Enjoying the great hospitality and spectacular scenery of Wales’s original MTB trail centre. 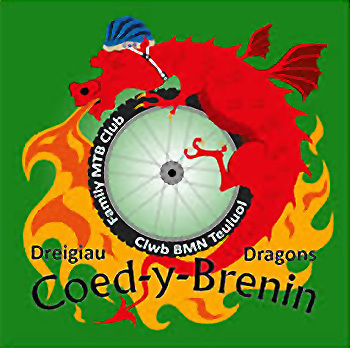 Beics Brenin are proud to support the Dreigiau Coed y Brenin Dragons club. Dreigiau Coed y Brenin Dragons is a Family Mountain Bike Club affiliated to Welsh Cycling and is based at Coed y Brenin Forest Park near Dolgellau in North Wales. The club runs coaching sessions and rides for all family members from young children to teenagers and adults. We run skills and endurance training sessions usually held at Coed y Brenin at regular intervals. We also organise led rides, night rides and social rides in and around the Coed y Brenin area. As a family club we encourage all family members to take part in club activities both younger and older.